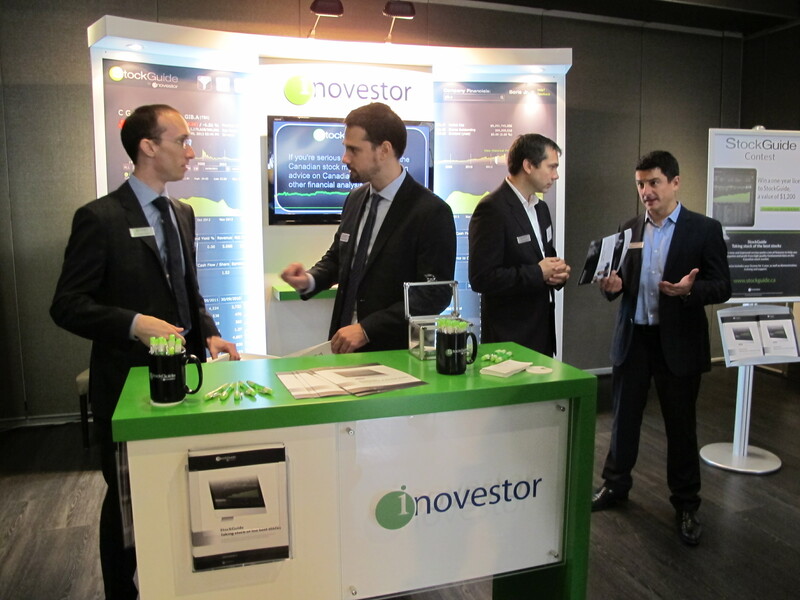 join Inovestor’s Booth at Palais des Congres in Montreal on October 30th and 31st. Speaker: Pascal Lefrancois, President and Founder, Inovestor Inc.
catch up to the positive economic news. Canadian equity products, whether they are actively or passively managed, generally tend to be very similar. Inovestor Canadian Equity Index ETF (“INOC”). is widely used by advisors from across Canada. Canadian equity exposure by delivering higher returns with lower risk. What are the best 25 Canadian stocks to own for 2018, according to Inovestor? What is Economic Value Added (EVA) and why is it often an overlooked metric? President and Founder, Inovestor Inc.
Pascal is a passionate entrepreneur with interests in investments, technology and real estate, among others. He holds a Bachelor’s degree in Physics from the University of Montreal. Southeast Ontario, Ottawa – Vice-President, Business Development, Horizons ETFs Management (Canada) Inc.
CI Financial Corp., as well as various sales roles at Fidelity Investments Canada ULC. Manitoba, Central Ontario, Atlantic Provinces – Vice-President, Business Development, Horizons ETFs Management (Canada) Inc.
Krista Hicks has more than 13 years of experience in financial services and joined Horizons ETFs in 2013. Associate Investment Advisor with BMO Nesbitt Burns Inc.
Southwest Ontario – Vice-President, Business Development, Horizons ETFs Management (Canada) Inc.
Joseph Carino has over 18 years of experience in the financial services industry and joined Horizons ETFs in 2015. Prior to joining Horizons ETFs, Mr. Carino was a hybrid wholesaler with Vanguard Investments(Canada) Inc.
Before becoming a fund wholesaler, Mr. Carino was an equity and fixed income trader for over 10 years. MARIE-CHANTAL LAUZON – Senior Vice-President, Business Development, Horizons ETFs Management (Canada) Inc.
and Head of Quebec for Excel Funds and a Senior Consultant at Standard Life. Karim Ghalayini – AVP, Business Development, Horizons ETFs Management (Canada) Inc.
products. He is trilingual and able to service clients in English, French and Arabic. A Inovestor, we value the importance of helping our local organizations and participating in actions toward our community. Our team will be attending the 23rd Edition of Le Grand Festin d’Huîtres on November 10th taking place at Hilton Bonaventure. We will be supporting Jean Lapointe Foundation and help them fight against alcoholism, substance abuse and the other addictions that affect the population. For more information, please visite Jean Lapointe Foundation website here.